Adult Sunday School communities provide opportunities for Christian growth and fellowship. By offering a wide variety of classes we hope to provide a solid, biblical education so that each participant has an opportunity to grow in his or her understanding of the Bible’s content and implications. In addition to the teaching, there is a time of fellowship that provides opportunities to connect with existing friends and to meet new ones. If you are new to the church you are welcome to attend any of these classes to find the best fit for you. Learn more about our Sunday School classes. To help us become more connected to each other and our community, our congregation ha been organized into five super parishes/19 parishes. Parishes, are essentially neighborhoods in the Augusta area consisting of 25-30 families. Each parish has a leadership team committed to getting to know and care for the members of the parish. Learn more about parishes and find your parish information. One of the richest ways to connect with others is by serving. Whatever your life experience, skills or interests may be, there is a place for you to serve the Lord and his people. 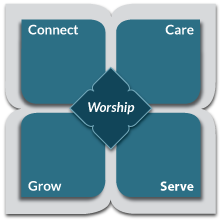 Each new member who joins First Presbyterian is asked to choose a place to serve, and they are finding serving a wonderful way to get plugged in to the life of the church. Complete the Volunteer Service Form to get started today!